HGTV would approve! 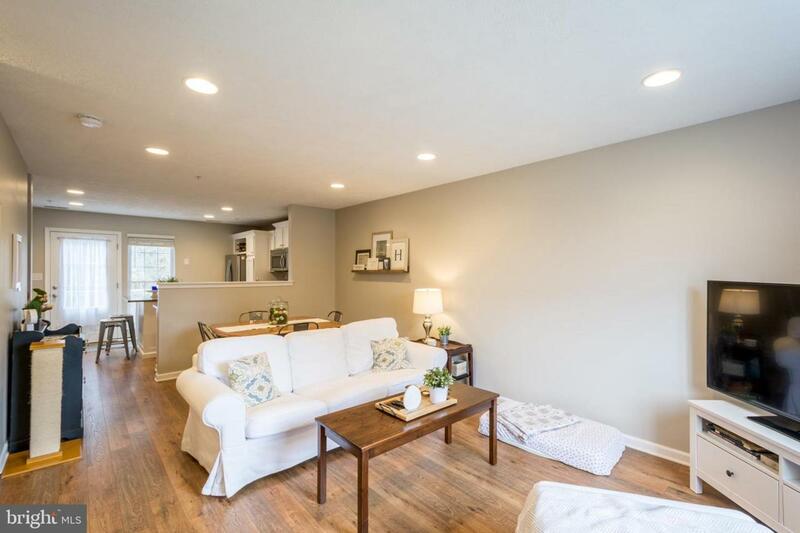 Ready to unpack and relax in a welcoming and beautifully renovated space? You've found it! 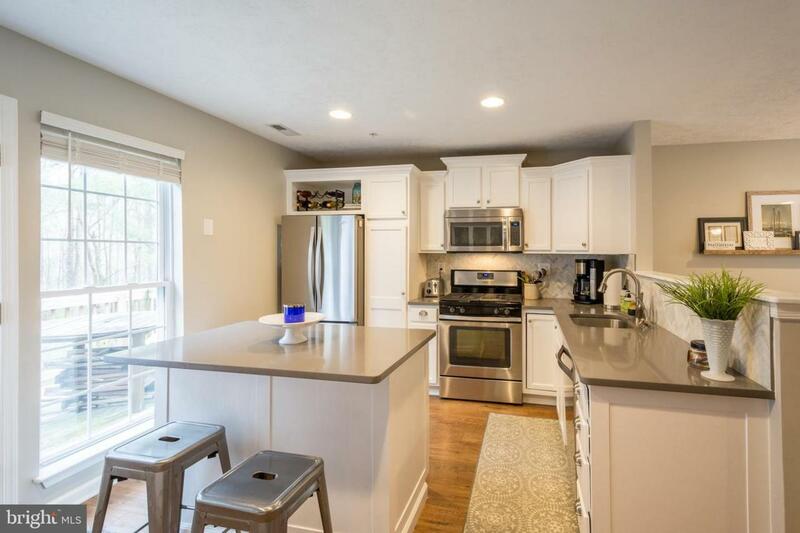 From the front door to the fence, this townhome has been thoughtfully renovated with finishes that allow for both active and easy living, fresh paint, new flooring, lighting, fixtures, counters, appliances, and more! The open main floor features an open floor plan that is light and bright, featuring overhead recessed lighting and large windows. The wide-planked laminate flooring is warm and welcoming and the perfect surface for the most entered space in the home. The partial wall between the dining space and the kitchen serves dual purposes. It allows the light and access from the front door to the rear deck for entertaining, maximizes light in the space, and visually conceals the kitchen counters from pop-by visitors. Lots of thought was put into the kitchen space with surfaces that withstand the every day cook and remain beautiful long term. Considerate of the cook or entertainer, the refrigerator is a custom size French style allowing for the maximum capacity. 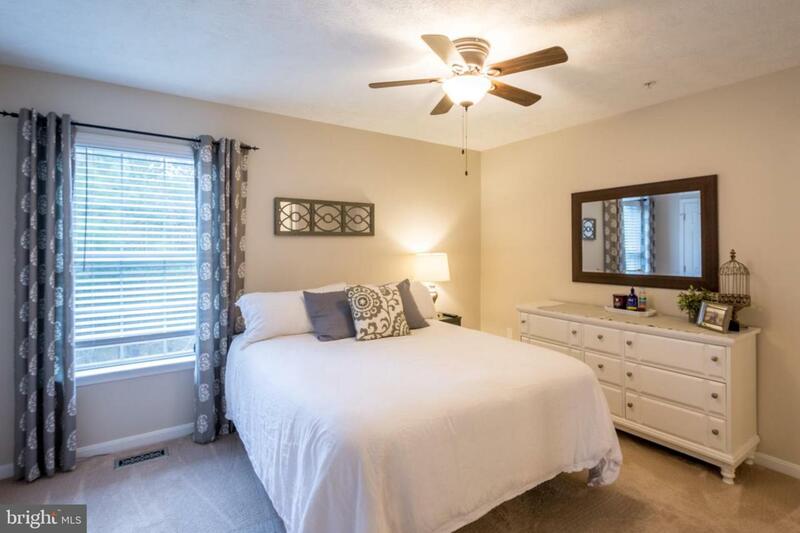 The stairs to the upper level are discretely located off the kitchen where you'll find a master, guest room, and a dual-entry full bath completely refreshed with new flooring, lighting and fixtures. The lower level presents no differently and has received as much care and renewal as the upper two levels. The high ceilings and walk out space downstairs is perfect for entertaining friends with a fireplace with overhead built-in and full bath, as well as laundry and expansive storage space. The family room leads to a small paver patio, perfectly private for enjoying the outdoors in the fully fenced yard. Ease of access from the indoor storage to the outdoor shed, allows flexibility when handling those household to-do lists. 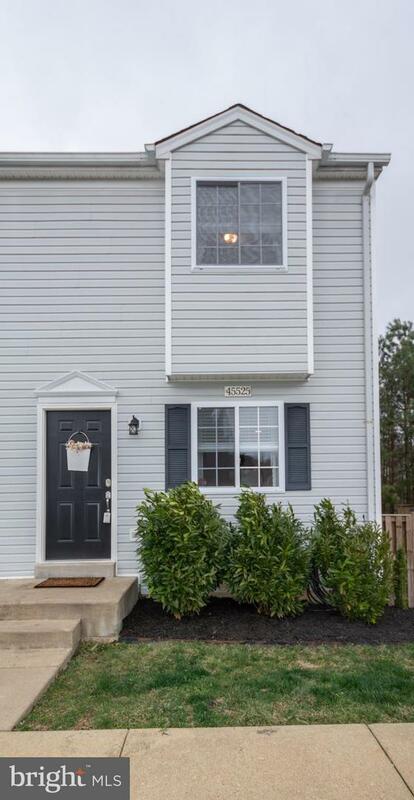 Knockeyon offers it all including convenience in living and location, situated just off Route 235 for rapid reach to shopping, Solomons Island socializing, and NAS Patuxent River.